additional secretary-ranked officers of the Government of India. At present, she is posted as Head of the Mitrovica Regional Office of the United Nations Interim Administration Mission in Kosovo (UNMIK). The DoPT notification issued on March 29, 2016 reads like this: “The President is pleased to direct that Ms. Renuka Chidambaram, a member of the Indian Administrative Service, borne on the Cadre of Karnataka (KN:1985) is deemed to have resigned from the Indian Administrative Service with effect from 01.07.2013 in terms of rule 7(2)(c) of the All India Services (Leave) Rules, 1955”. A Tamil from Karnataka, she got Karnataka cadre and served as deputy commission in Kolar and Belgaum districts and then as development commissioner (handloom) on a Central government deputation. 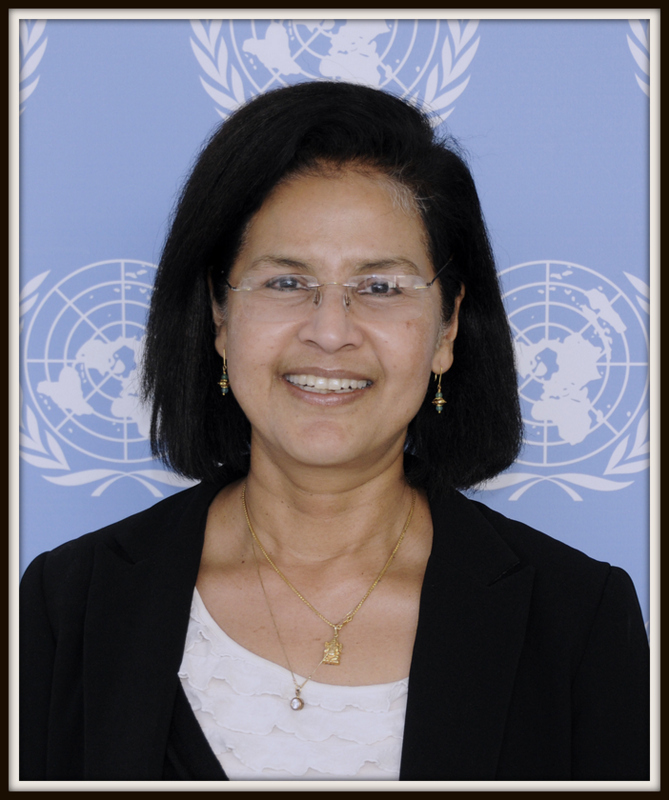 Her profile in the UN site mentions that she holds two master's degrees in international relations — one from the School of International Studies at Jawaharlal Nehru University, New Delhi, and the other from the School of Advanced International Studies (SAIS) at Johns Hopkins University in the United States. She also has a law degree, and did diplomas both in French and German. Her UN profile also mentions that she worked for “12 years as an English-language news anchor on Indian national television”. A very bright officer, Renuka Ma'm would be sorely missed. Not many may recall that she was also the PS to Dr. Girija Vyas, when she became a Minister for the first time. She was an alumnus of JNU (now in news for very different reasons). A very amiable, soft spoken and talented personality. India's loss is UN's gain. Our best wishes to Madam. The article above should be the first point on which IAS as a service should be abolished. Does this not show the loyalty and work ethic of IAS officers? It has now become a trend among IAS, that, once you get trained abroad for a degree from public tax payers money and then posted to UN for India assignment, then they do not want to come back to India. Renuka Chidambaram should have given VRS or self resignation from the service rather than Government of India directing and demming her forceful resignation from IAS because she does not want to come back to India, giving up her UN assignment and foreign salary. IAS officers in the same way, come to New Delhi for deputation as JS/AS and then dont want to back back to their state because they want to get all perks in Delhi but are incompetent for their job. IAS officers are not incompetent for their job. They simply do not want to work, like other civil servants. Majority of government servants believe in principle of No work full pay and all previleges. Work is for CPMF and Police and Defence services. Armed forces personnel employed in peace areas work much less than civil servants and enjoy free ration and many other privileges basically devised for those in field or forward areas. There should be an independent audit bu CAG on the efficiency of both civil as well as armed forces officers cadre. The staff side issues are different on both sides, let us not get carried away with the condition of sepoy, Lc/Nk or MTS on civil side, then it becomes an emotional issue. Lt. Gen Kapoor has posted a valid point. However, what is not explained that is that deemed to be resigned is akin to being forced to leave. In other words, GoI has acted emphatically since the officer was not willing to return to India nor was he willing to resign on her own volition. GoI strong stance and impartiality even with IAS officers is commendable. Anything where the rule or law is not broken should be all right. If you do not like it ask for a change in rules. The officer in question has not broken any rule. Please do not expect her to be more loyal than the King!!! Don't know what this writer means by being more loyal than the King. Govt rules provide a maximum no. of years on deputation with UN or international body. Beyond that, one resigns or hopes that political masters will circumvent rules. Earlier this was the case with public interest being touted to favour few. Eg Shishir Priyadarshi, a 1980-batch IAS officer. Present Modi Govt will not allow it. Good for all civil servants irrespective of service. The rule is that deputation is allowed for a certain number of years. Beyond that, either return back to GoI or resign/take VRS. Earlier officers esp IAS and IPS continued for years beyond that permissible eg. Shishir Priyadarshi of IAS. Now the Govt enforces it. Good decision of present government. An officer has to decide whether to serve India after gaining experience or stay back. Some IAS officers and their sympathizer cannot be happy with a strong Govt decision on this issue. Regarding USsG, there are 2 in UN now. But doubtful if they can make UN understand India's viewpoint. This lady is a D1 level officer in a peacekeeping mission. Dont know what she was doing for India's viewpoint esp since India does not recognize Kosovo as an independent country. For India's view point and watching our interests, our PR and PM of India are there. This is not to belittle the role of Indian's in the UN or any international organisation. But I see that she is back with the Government. So its true that IAS Officers have a separate set of rules. I miss you Ms.Renuka Chidambaram. Shri. patra, do not miss her. she is back with Government of Karnataka with the DOPT notification issued on March 29, 2016 being conveniently ignored by her Cadre. Rules are not meant for IAS Officers as they make rules which others follow.